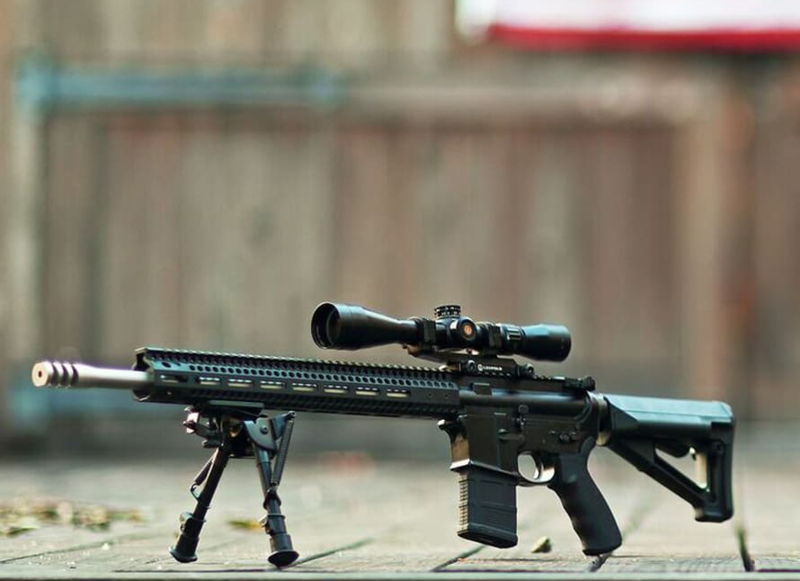 The Team Never Quit MK12SS Special Purpose Rifle (SPR) was designed by Marcus Luttrell and his former SDVT-1 teammate and G2 Precision Co-Founder, Garrett Golden. It is based on the highly popular rifle developed by the Naval Surface Warfare Center (NSWC) and used extensively by SOCOM operators. The Mk12 is one of the preferred weapons of Navy SEALs and the special operations community. Marcus carried the Mk12 on Operation Red Wings. The TNQ Mk12SS like the original Mk12 is reliable and accurate. In addition, the TNQ Mk12SS is lighter, maintains sub-MOA grade accuracy with a broader range of ammunition and is ergonomically superior.